These maps serve as a guide to show the locations of the Smithsonian Museums in Washington, DC. Although most of the museums are located on the National Mall from 3rd to 14th Streets between Constitution and Independence Avenues, several of them are scattered in other parts of the city as shown with red markers on this map. This map shows the locations of the Smithsonian Museums on the National Mall. The National Museum of African American History, the National Museum of American History, and the National Museum of Natural History are located on the north side of the National Mall, between Madison Dr. NW and Constitution Avenue. 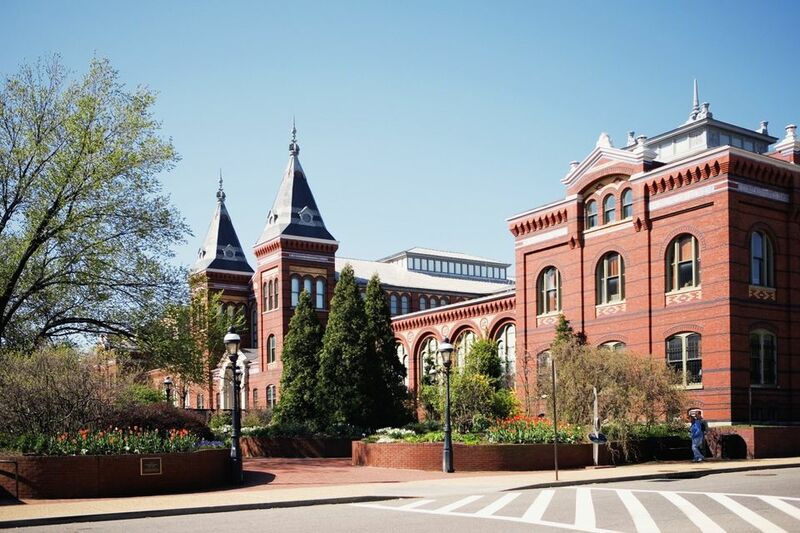 The Smithsonian Castle, the Sackler Freer Gallery, the National Museum of African Art, the Hirshhorn Museum, the Air and Space Museum, and the National Museum of the American Indian are located on the south side between Jefferson Dr. SW and Independence Avenue SW. The Renwick Gallery is located at 70 9th St. NW, Washington, DC, just north of the White House. The National Portrait Gallery and the American Art Museum are located at 8th and F Streets NW., Washington, DC in the Penn Quarter neighborhood near the Verizon Center. The National Postal Museum is located at 2 Massachusetts Ave. NE, Washington, DC next to Union Station. The Udvar-Hazy Center is located near Dulles International Airport at 14390 Air & Space Museum Pkwy, Chantilly, VA. Directions: Take VA-267 W toward Dulles Airport, Exit 9A for VA-28 S, merge onto Virginia 28 S, Take the Air and Space Museum Pkwy W exit. There is no direct Metro service to the Udvar-Hazy Center. You may take a combination of MetroRail and/or MetroBus.